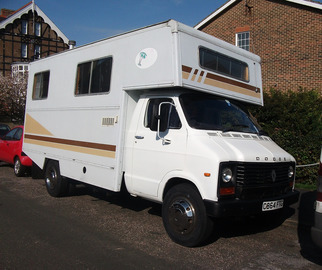 The Dodge 50 Series, later known as the Renault 50 Series were light commercial vehicles produced in the UK by Chrysler Europe and later Renault Véhicules Industriels between 1979 and 1993. The 50 series included a wide range of chassis and body configurations, including two distinctly different cab designs, and spanned the 7,700–16,500 lb. revenue weight range. Various engines were offered, including the Perkins Phaser and 4.236, and there was also a four-wheel-drive version, the RB44, built by Reynolds Boughton (now known as Boughton Engineering).